For those of you who still think the food industry is a helpful part of the solution to our modern day weight and nutrition woes I present the Kellogg's Together Counts label reading course. Together Counts is the food industry's self-congratulatory attempt to be part of the dialogue regarding weight, nutrition and health in society today. My cynical view is that it's there to help to forestall the inevitable industry unfriendly legislation that we will see down the road. It's also there to foment misinformation. "at least 60% of Americans are in fact paying more attention to the numbers on the food packages they buy. But if you don’t know what to look for on the label—or are only noticing the calories—chances are you’re not seeing the complete picture of your favorite eats. As a member of the Together Counts™ program, Kellogg’s wants to make it easy to keep your eyes on nutritional value with these quick tips." So let's say you take this Kellogg's course. 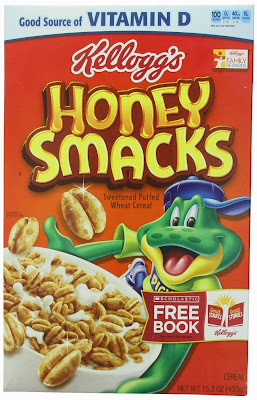 What should you look at when evaluating Kellogg's Honey Smacks? Well according to Kellogg's you should consider their serving size, fat and cholesterol, fibre content, sodium and vitamins. Well by those measures this stuff sure is pretty awesome! Let's see, pretty clear cut serving size, almost no fat, very low sodium, and TONS of vitamins! You know I'd imagine most cereals would score highly in the Kellogg's version of wholesome food land. They're all low in fat, sodium, and cholesterol, and they're fortified with vitamins. You think perhaps when considering foods people should also look at sugar? 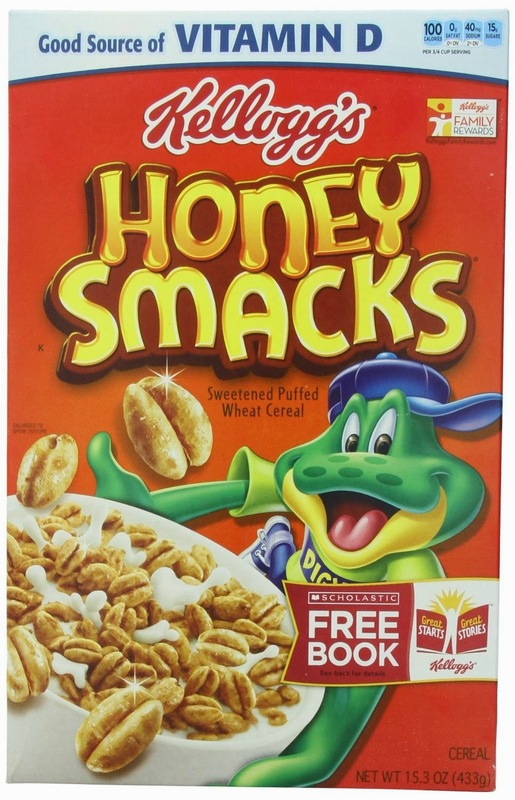 Well only if you think that a product that by weight is quite literally 55.6% sugar (Kellogg's Honey Smacks) isn't a wholesome food, and if you learn how to read a food label by means of Kellogg's teaching - you won't.